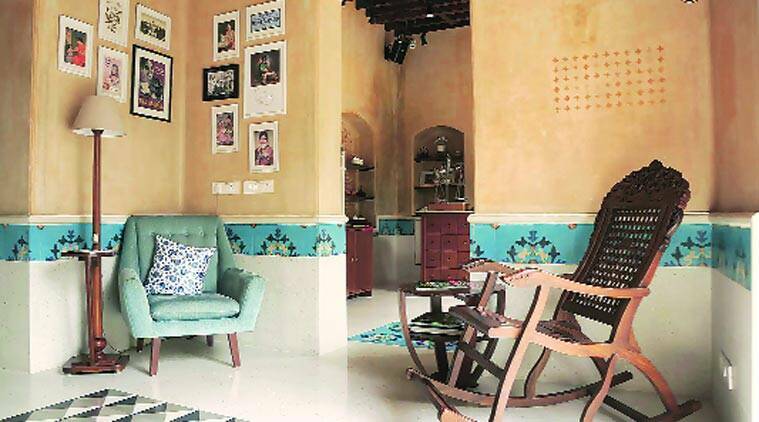 Nestled in a restored bungalow, a new tea house charms with its old-world ambience and homegrown blends of the classic Indian beverage. Tea served in handcrafted cups. Kashmir Saffron, Jaipur Royal, Goan Bliss and Malabari Vanilla Coconut: it is easy to mistake these as items from a mocktail menu while they are, in fact, tea blends. The city has acquainted itself with international varieties of tea, including the exotic fruity Ceylons and the Japanese-style sencha, through proliferation of tea cafes and lounges over the last couple of years. But a venture by a prominent tea brand, Taj Mahal Tea House, located in a dusty Bandra bylane, wants to introduce patrons to local blends. The founders hold that their target audience is one that appreciates a good cup of chai, and the comfort that it embodies. It is perhaps fitting, then, that the interiors of the tea house evoke laidback sentiments and a general sense of tranquility. Ensconced in a restored bungalow, the space — spread over 3,500 square feet — features marble-topped tables, old-school plantation chairs and soft lighting against the backdrop of yellow walls. There are cosy reading nooks, a cheery, albeit sheltered, outdoor section and a tea bar, from where the heady aroma of teas-in-the-making emanates. Against one wall is placed Niladri Kumar’s sitar with pictures of Zakir Hussain — the best-known face of the brand — framed nearby. A tabla set, gifted by the tabla maestro, sits in the walled section opposite. This area will soon be open for live classical performances and book readings. From their diverse variety of teas, the Goan Bliss tea strikes a soothing note, with its mixture of caramel and crushed spices rendering the palate a sweet and spicy relish. The Karipatta delight is made with a dark blend infused with curry leaves, which gives it a crisp flavour but doesn’t overpower the comfort of tea. The food menu has been created to complement their various teas. For instance, the Ragi Masala Dhokla, Masala Toast, Bread Upma and Parsi Bun Maska are recommended with the above teas. The tea lemonades, such as a refreshing pink jasmine, and iced tea infusions such as guava ginger are best paired with dishes such as Eggs Benedict and Savoury Waffle Sandwiches. The mains section includes soups and tea-infused inspirations, such as Oolong-Poached King Fish and a Darjeeling Tea Risotto with Crispy Dry Fruits. While the pricing of the nibbles starts at Rs 120, the mains go up to Rs 650. The tea influence extends also to the dessert section, with items such as Jasmine Apricot Clafoutis and Chai Pannacotta. The latter, of a creamier consistency than a regular pannacotta and served alongside a salty crumble, is sure to emerge a hit among patrons with a mildly sweet palate. The teas, however, score over the food here. The old-world ambience, accompanied by strains of classical music, lend respite from the bustling life outside. It’s the place you’d seek for solitary comfort — to just sip on the chai and watch the world go by.